Zippiri means rosemary in sardinian. In the ancient world rosemary was a symbol for love. Love stands for all the things, you can see, smell and taste in here. Guided with love and passion by the Piras Family, the Gourmetwerkstatt is constantly growing since the opening in 2013 and is proudly presenting Zippiris team. 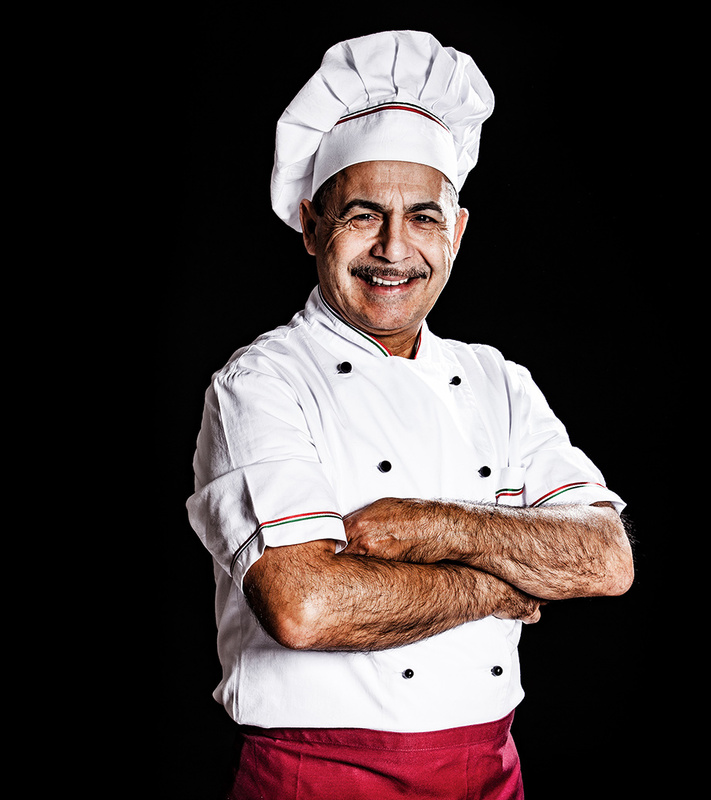 Zippiris central point is the head chef Marco Piras. Born in Villacidro, Sardinia, he grew up in Milan, where he firstly discovered his love for the patisserie. Back in Sardinia he met his beautiful wife and also discovered his passion for the classic and traditional cuisine. His curiosity for tradition and methods from other countries lead him through several cuisines in Europe. His first own restaurant „Il Giardino“ was established in 1990 in Wuppertal. In Cologne he enhaces his wide experiences in Zippiris Gourmetwerkstatt and as a health-conscious chef he pays heed to a low- salt and -fat preparation for his dishes. He uses high- quality, mostly bio products, without any dyes or preservatives and no genetically modified foods. The best ingredients, fresh herbs, extra virgin olive oil and a lot of love, this is his basic formula. Back in Sardinia he met his beautiful wife and also discovered his passion for the classic and traditional cuisine. His first own restaurant „Il Giardino“ was established in 1990 in Wuppertal. 7 Course 115,00 € p. P.
(a main course less) 6 Course 95,00 € p. P.
(without sweetbreads and a main course less) 5 Course 75,00 € p. P.
The Gourmetwerkstatt presents his guests only self- made dishes. Below we would like to provide you an insight into our Ravioli production. The best durum wheat semolina, precise manual skills and a traditional method are the basic ingredients for Zippiris Ravioli. Zippiris fish comes directly from the Runigs International Market. Only the best products are getting access to Zippiris Gourmetwerkstatt. Tuna, Oysters and scallops are prepared for unforgettable dishes by the kitchen crew. Dogs are strictly prohibited in our restaurant.